Family owned and operated since 1967. With an extensive line of religous statuary and stepping stones. We service all of Ionia County & it's edges. 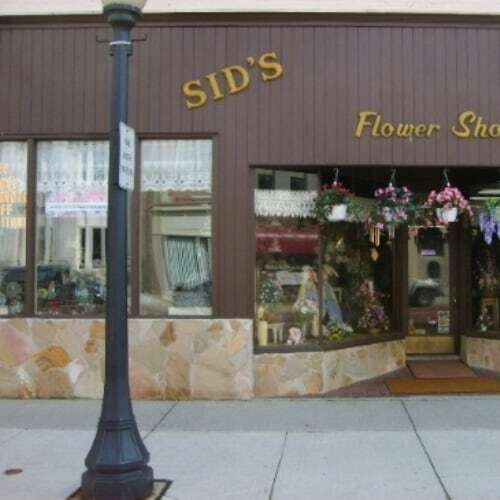 If a town is'nt listed please call us & we will assit you in finding a florist if we do not service that area. *Our shop is open from 8:30 a.m. to 6:00 p.m., Monday through Friday and from 9:00 a.m. to 3:00 p.m. on Saturday. We are closed on Sundays. We will close at 3:00 P.M. on Christmas Eve & New Years Eve. To help assure on-time delivery during the busy holiday season, place your order at least 1 day prior to the following major holidays: Thanksgiving Day, Christmas Day, New Year's Day, Valentine's Day, Easter, Administrative Professionals Week, Mother's Day, Memorial Day, Father's Day, Independence Day and Labor Day. Our shop will always be closed on the following holidays: Thanksgiving Day, Christmas Day, New Year's Day, Easter, Mother's Day, Memorial Day, Father's Day, Independence Day and Labor Day. If you have any questions or need more information, please contact us by e-mail at sids0910@sbcglobal.net or call us directly at 866-425-4983. We're always here to serve you and make your flower-sending experience a pleasure.